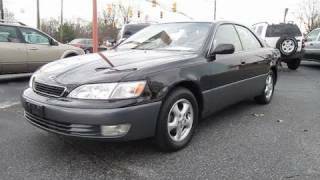 Our Spotlight is on this 1999 Lexus ES 300 sedan, which is based on the same platform as the XV20 Toyota Camry, but shares very little with it's down-market brother. We go in-depth with this front-wheel drive luxury car to see what all the controls do, how it drives after almost 20 years, and what you need to know if you're considering one of these cars. 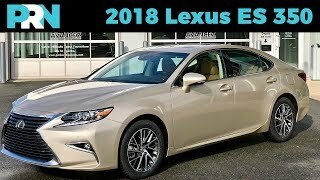 We try to cover all the information about this generation of Lexus ES, including the different special editions such as the Coach Edition, Platinum Series, and Millennium Edition. 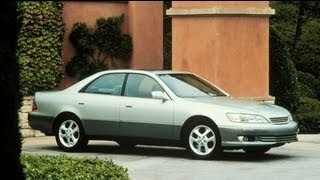 There were also several options available for this car like Adaptive Variable Suspension, Nakamichi Audio, and other luxuries. 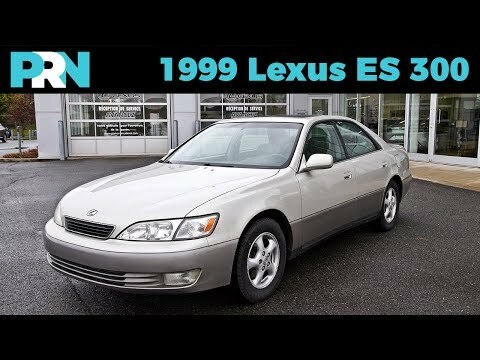 Stay tuned for our episode of TestDrive Showdown where we compare 20 years of Lexus ES innovation with this 1999 ES 300 and a 2018 Lexus ES 350 Touring. TestDrive is proudly produced in Acton, Québec, Canada. This video was filmed in Sainte-Julie, Québec at Park Avenue Lexus. 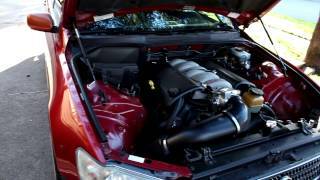 We've got the real King of Lexus coming up this coming Monday! My door panels are two tone leather, you think it was rebuilt. I love it. Thx . I'm not much of an expert on Lexus models unfortunately, it's possible it was one of the special editions, I know they had the Platinum and Coach editions, might be related to that. 97-01 i see not any 95s great torque starting to have hesitation going up these 75-95 degree hills. a good deal I’m pretty sure. Goofy ,... Prodigy many many golden era legends K.Murray this was out first whip. Peace my man did the burgundy and creme 2 tone paint with a creme rag in Summee burgundy Nov-April. Can't beat these cars, we'd still love to pick one up if we needed a reliable daily driver! My dad had one. I remember him worrying about the car when he got the check engine light at 221k miles. Few days later the car broke down. It sat for 3 months until he tried to start it but it was gone forever. That's a pretty low mileage for it to be written off for a CEL, did he ever pull the codes with a scanner to see what the problem was? 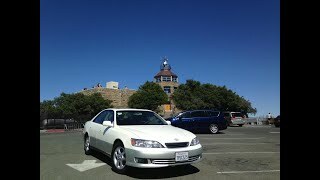 From the comments we've gotten since filming this episode it seems that the Lexus ES models only break down if they get in an accident or get damaged in another way. Im looking to get a 1997 with 58k miles clean title 2500$ should i get it? Sounds like a great deal! 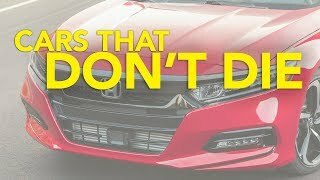 Check out some of the comments that have been left on our episode, a lot of owners have replied to report on their ES' reliability. At that price and mileage you should jump on it! 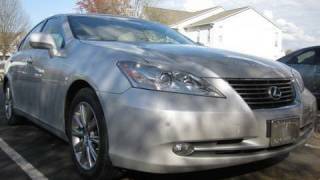 This generation Lexus ES is one of our top picks for a reliable, elegant, daily driver. You really can't go wrong with one of these! Interesting info about the motors.I was looking at the next generation one from a deceased estate,low mileage,but maybe I'll go for this model without the VVTI.I think that they have a chain instead of a belt because that later model is an interference engine. 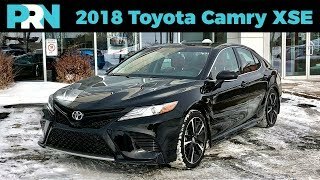 [I understand Toyota puts belts on their non interference and chains on their inteference engines]This model is similar to my present Camry which is good. I think I've read about that also. We get comments on this car about once a week, usually from owners and so far the comments have been very positive in terms of reliability. Ahh. I love my 99 ES300. I bought it at 132k miles in mint condition and dealer serviced its whole life and I'm at 186k now. The interior still looks like brand new, but the exterior paint has started to blemish and peel a bit. This is also the car where I started to learn how to work on my own car and it has been quite the enjoyable learning adventure. Great cars for self-repair. I have a newer Pioneer LCD screen with USB/bluetooth/microphone and rear-view camera, so it feels really modern inside. 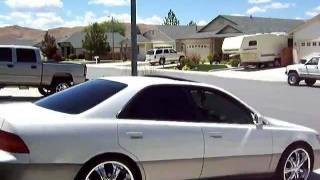 A lot of people can't believe my car is this old. They definitely feel really nice and smooth on the road. My friend with a young Honda Fit was saying my car felt smoother on the road than his newer car and he was confused. I plan to keep self maintaining, which just gets easier and easier as I do it. Perhaps it can be one of those million mile Lexus cars someday! Thanks for sharing, we love hearing stories like this! 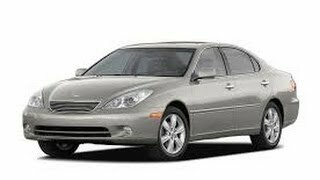 We find we get a lot of positive comments from owners about this generation Lexus ES, reliability and ride are the two top things that stand out. Glad to hear you plan on keeping it! 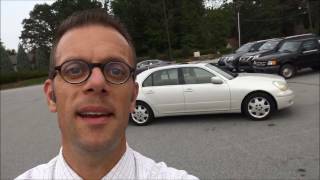 It’s got a little ways to go to get to a million but if there’s a car out there that can do it, it’s a Lexus ES! All I hear is complaining about a video that was free for you to watch. I'm one of the few still looking for this type of car, I currently have a 2005 Rav4 S as a first car. Currently doing a stereo system install on it to see how it's like to have a real good sound system. For about $1,700. Although I probably won't get this car till like next year most likely. Too busy on my current audio system that I plan to transfer to the ES-300 after I get it done in my Rav4. 5 things I love about this car. #1. Large interior (Good for me as I'm a big guy), #2. Large Trunk (Great for my dual 12 subwoofers & some luggage or other gear), #3. Good gas mileage (I do a lot of combined highway & city driving mostly highway though but on quiet a few occasions I do a bit of city driving), #4. Outstanding reliability (Which is a must for me), & finally #5. A easily upgrade able stereo system as (I like to tinker with stereo equipment a LOT) so a car like this that's easy to work on and fairly straightforward on how to get to things is great! You can't say that for some cars especially when it comes to doing repairs yourself. P.S. I forgot to say this as well, from what a friend told me about Japanese cars specifically Toyota & Hondas. CHEAP PARTS! Lmao! I wouldn't say you're part of a few! There's still interest in these cars, not as much as something like a BMW 528i or Mercedes E 320 but you won't find something this old that's as reliable! One day we need to buy a car to leave behind when picking up the press cars, something like this ES 300 would be perfect, but I could never leave something as nice as this at a street-side parking spot in Montreal. I bet it did! These cars seem to last forever and still drive as well as they did when they were new. Or even a reliable daily driver, if it's already in rough shape then use it as a beater, but the clean examples out there should definitely be kept in good shape! 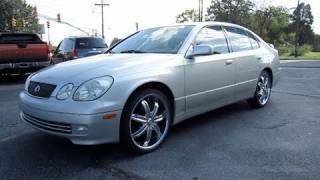 i have 2 2000 and 2001...im sticking with Lexus! Can't go wrong! These are some of the best daily drivers you can buy today! 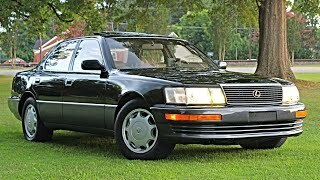 My friend bought his ls400 a few months ago for about $4,000 I'm just trying to put a little but in savings each week and hopefully by next tax season use my taxes and get one of these for about $2,800-$3,500 or even a ES-330 in decent condition for a second car. As I just started working my first job a few weeks ago. So hoping by Febraury of next year I could have one of these to eventually replace my Rav4 which if I get the Lexus the Rav4 is going to my Mom because eventually she is going to need a more reliable car compared to her 06 Ford Taurus POS that we're gonna have to rebuild. At least the 2005 Rav4 is supposedly one of the most reliable years for that car. That's one of the reasons why we'd buy one too! 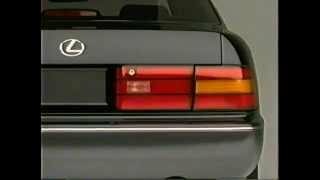 These 90s Lexus models are some of the absolute best cars ever made, and so few enthusiasts bother with them you can get them for a lot cheaper than a comparable Mercedes or BMW, and it'll last way longer. You really can't go wrong! And with the ES models I'm surprised at how whisper quiet they actually are. Even quieter than my Rav4 haha which is nice. So you can actually have a conversation in the car without hearing the engine too much or even just enjoy your music while on the road. +PRN_TestDrive Yep I have a friend in the Naples/Fort Myers area that can help me out, he's found plenty in that area in great condition for $2,800-$3,500. Both the 300 & 330. Hoping I can get one by next year so my Mom can have my Rav4 instead of that POS Ford Taurus we're having to re-build the suspension on for $1,300 it's on it's last leg on almost 200k miles it's an 06 model we've had since 07. We haven't heard anything negative about that generation Rav4, should be pretty solid for a while! These Lexus ES models though are some of the best used cars money can buy, both for reliability but also understated luxury. It's not over-the-top, but has aged well enough that they fit the part. Hopefully you can find a nice one! I have one, for $3500, with 137,000 miles, and everything works, power, AC, heat, etc everything. Zoe Fountain what year, do you still have it for sale? Great price for it! These are seriously underrated reliable daily drivers. I recently sold my Hondafit and bought 1999 ES 300 under 50k miles. It drives like driving on cloud, so smooth. We're glad to hear that! Glad to hear it! This is still one of the best daily drivers you can buy today, if we needed one, this would be our first pick. From 96 to 99 it was the third generation, but to be fair the first three gens all had very similar styling and design language. Still a great looking car in our opinion, we don't see them often out here, but when we do we notice! Absolutely! These ES 300s are some of the most reliable cars money can buy still, especially if the maintenance has been kept up by the previous owner(s). I bet it's exciting, hopefully you get to pick up the keys soon! Congrats! This is still a car we'd have high on our list if we needed a great, reliable daily driver. I want one as a first car. This car is what im saving for and my parents said if i work hard i can get one. It is an amazing car. Zoe Fountain still for sale? Can't think of a better first car, honestly! Great price for what you get out of it, plus the reliability is going to be key. While rare they made this generation with a 5 speed manual.. 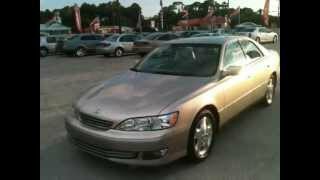 Personal note, I think this is my favorite ES Lexus ever made.. It's a solid vehicle! 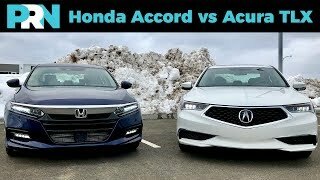 A 5 speed manual would have been interesting, would have been able to compete against the Acura 3.2TL at the time, considering the Acura Vigor had a 5spd and was similar in a lot of ways to the first generation ES. 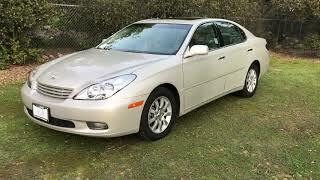 I've owned my 2001 Lexus ES300 for a little over 3 years now. It had 91,000 miles on the clock and I bought it for only $5,000. A great deal considering what a clean example it is. It is true, the best things about this car is how reliable and smooth it is. 99% of the time when people ride in my car, the first thing they'll comment on is how smooth it drives. Lately I've been looking to buy a GS400 or IS350, but I keep hesitating because I know I'll miss this car tremendously. $5k is a steal for that mileage! We've spotted a few for sale over the year, with a lot more miles under it, for around the same price (Canadian). If you find a decent GS 400 we'd definitely recommend checking it out, but not if it means you have to give up the ES 300. They just don't make cars like this anymore, and if you can hold onto one, you should! Kilometres yes, but still! Not too bad for a car that most never cared about, we often find this model from Lexus has the potential for the least love and care from owners, which is unfortunate since they’re really nice! Very nice! These are still fantastic cars, we're always happy when we see one on the road out here. I know it's not in the same class, but I own a similar year Honda Civic Coupe, the interior is strikingly similar. Japanese design was certainly consistent even across the models from this era. Our 1990 Accord had some similarities if you closed your eyes a bit. Definitely should be! We don't think many of these had that optioned. 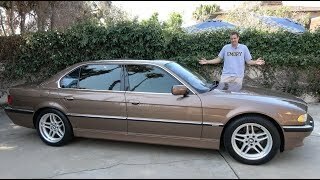 1993 Lexus LS400: Asphalt & Butter.